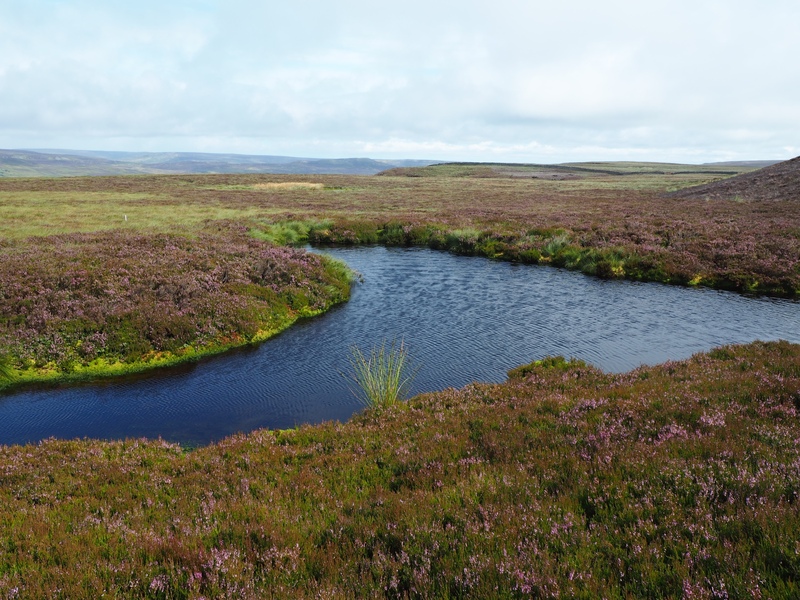 Dogleg Tarn is the name I’ve given to a tiny but distinctively shaped tarn situated on a moorland shelf between Tarn Brow and Scar Brow on the edge of Whitaside Moor. 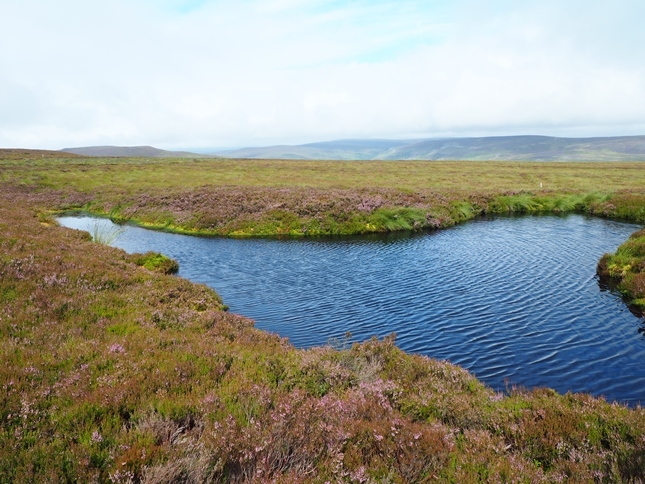 The tarn is not marked on either the OS Explorer or Landranger map but if you use the Ordnance Survey’s online 1:5000 scale map it can be seen so it must be a fairly permanent feature. Tiny though it is, it is no smaller than some named tarns in the Lake District such as Foxes Tarn and Carlside Tarn.